Just in case you needed another reason to want one of Cadillac's hottest performers, starting with the 2017 Cadillac CTS-V and ATS-V, the first owner of each vehicle can score a free two-day course at Spring Mountain Motor Resort with the V-Performance Academy. According to Spring Mountain's website, the V-Performance Academy "is designed for drivers of all experience levels and includes dynamic car control exercises, visual skill development, and proper cornering techniques," with "brief" classroom sessions sprinkled in. Driving programs like the V-Performance Academy are all the rage right now. In the last few weeks alone, both Fiat and Ford announced free one-day academies baked right into the price of cars like the 124 Abarth and Focus RS. As with the Ford and Fiat courses, Cadillac is providing the learner cars. But where those other courses call on vehicle owners to shell out for airfare, food, and in Fiat's case, lodging, Cadillac covers tuition – a $2,420 expense for non-owners – along with two nights in one of Spring Mountain's "luxury condominiums" and breakfast and lunch during both driving days. Students are still on the hook for airfare, although Caddy will shuttled attendees from Las Vegas McCarren to the track/resort, some 55 miles away. 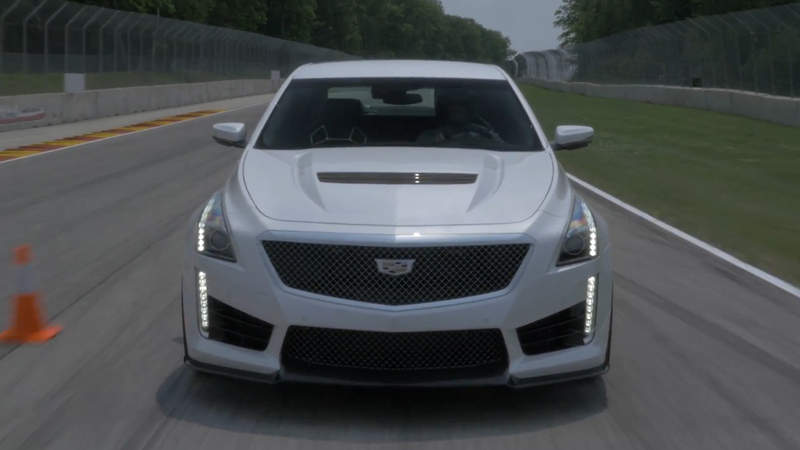 If you can't shell out for the flight to Las Vegas, a new CTS-V or ATS-V, or simply can't spare two days for a driving school, Cadillac is ramping up for another year of its one-day, traveling V-Performance Lab, which will run at Lime Rock Park in Connecticut and at Circuit of the Americas in Texas.